It's June and that means Father's Day is on its way. I start thinking about Father's Day gifts well in advance when it comes to my husband. He is fairly easy to buy for, but I know a lot of people struggle with their spouse or dad. One great idea that you can't ever go wrong with is food. I mean, what dad does not like food? If you have limited time to go shopping, no worries, GourmetGiftBaskets.com has exactly what dad will want and is only a few clicks away! You can browse their wide selection of gourmet gift baskets to suit every dad's taste. Whether he loves beer, cheese, cookies, snacks or healthier fare, you will find the perfect gift. They offer free shipping and have gifts to fit every budget. The best part is you simply order and Gourmet Gift Baskets will take it from there. Each basket is packed with care and filled with high quality goodies. 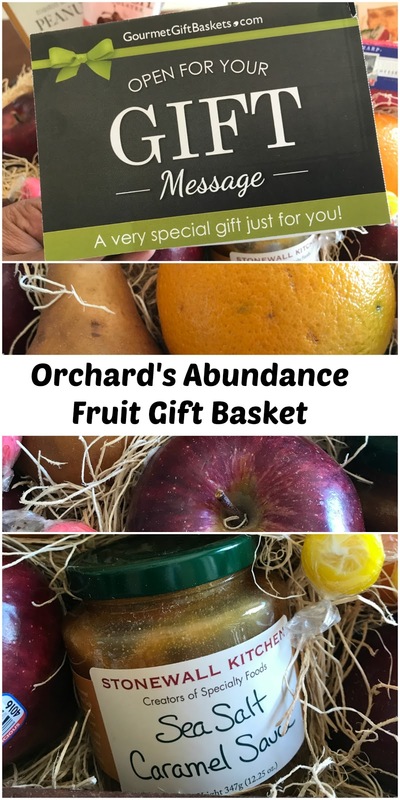 I chose the Orchard's Abundance gift basket for my husband since he is very health conscious. This basket is filled with enormous fresh fruit, cheese, crackers, peanuts, a couple chocolaty treats, and the most incredible sea salt caramel sauce for those crispy apples! The package will arrive at your doorstep complete with the card attached to the outside of the box. The recipient can read the special message before tearing into the package. I guarantee any dad would have a huge smile on his face receiving a gift like this. You can really see the care that goes into packing these beautiful baskets. They really do use premium products. This is a very well received gift not just for dads, but anyone! If you get stuck on what to give dad, give GourmetGiftBaskets.com a try. They have same day shipping so you can be sure the gift will get there fast. My advice is to make sure the recipient will be home to collect the gift since it does contain food items. You wouldn't want it sitting out on the front porch for very long. Check out the amazing selection of gourmet gifts and order something for the special dads in your life today. They will love it like my husband did. Follow Gourmet Gift Baskets on Facebook, Instagram, and Twitter for the latest promotions and updates. Don't delay! 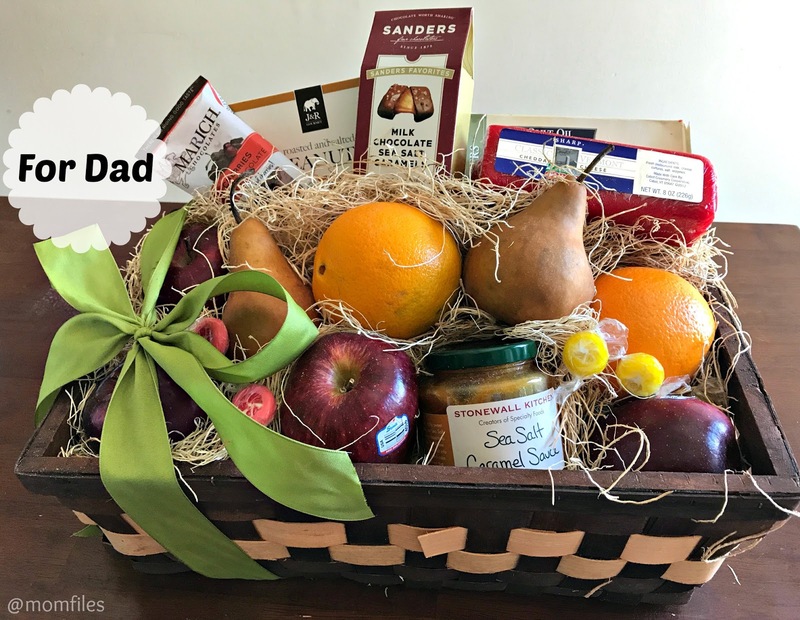 Hurry and order your dad or husband a Gourmet Gift Basket today! Disclosure: We received a gift basket for review. All opinions are 100% our own as always.